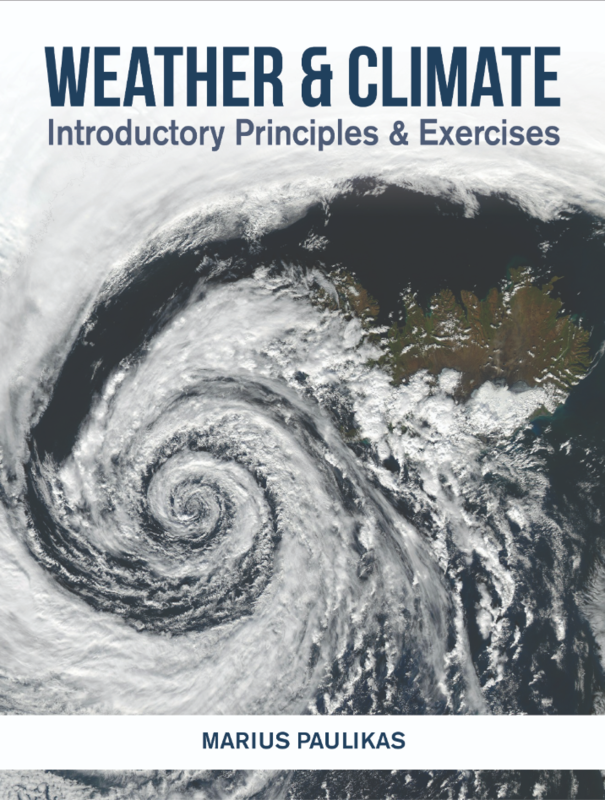 The first chapter addresses the general structure of the atmosphere, and discusses atmospheric principles as they relate to pressure and density. In this chapter, you will also learn about the different gases occupying the earth’s atmosphere, and you will be provided with an overview of the earth's atmospheric layers that are defined by temperature properties. Understand the principles defining atmospheric pressure and atmospheric density. Establish how atmospheric pressure and density change as one increases with altitude into the earth's atmosphere. List the major permanent and variable gases comprising the earth's atmosphere, and identify the key factors responsible for atmospheric variable gas concentrations. Identify the four atmospheric layers and the characteristics defining each layer. The earth’s atmosphere may be regarded as a collection of gases, solids, and liquids which comprise the space located above its ground level. Most of the earth's atmosphere is found near its surface due to the earth's gravitational pull, and the atmosphere rapidly decreases as one ascends with height. While an upper ‘ceiling’ of the earth’s atmosphere does not exist, the atmosphere eventually ‘blends’ into outer space at approximately 100 kilometers (km) above ground. Two metrics utilized to measure the earth’s atmosphere are atmospheric pressure and density. Pressure is defined as the force exerted on a given area, and may be simply regarded as the ‘weight’ of the atmosphere at a given location. Density refers to the amount of matter (for our purposes, the amount of gas molecules) present within a given unit of space (or volume of air). Because most of the earth’s atmosphere is confined at the lowest altitudes, the density of the earth’s atmosphere is likewise greatest near the mean sea level (or the average ocean height level). Atmospheric density and pressure are directly proportional to each other; if we have more gas molecules present within a given air sample, the air will weigh more and exert a greater force as a result. As atmospheric pressure decreases with height, so does air density. Atmospheric pressure may be measured in multiple ways (i.e., inches of mercury, pounds per square inch, atmospheres). Meteorologists (or atmospheric scientists) commonly express pressure in millibars (mb). The standard pressure reading at the mean sea level is 1013.25 mb, although for our purposes, it is sufficient to say that sea level pressure values are typically within 50 mb of 1000 mb. The first set of exercises identifies the general rule of thumb that for every 5.6 kilometers one advances above the earth's surface, both atmospheric pressure and density decrease by approximately 50%, or one-half. In Table 1 below, we begin with the average atmospheric pressure value of 1000 mb at the mean sea level height, and, following the "50% reduction rule," the pressure value is reduced to 500 mb at 5.6 km above the mean sea level. What would be the approximate barometric pressure value at 16.8 km? What would be the approximate barometric pressure value at 39.2 km? By approximately how much does atmospheric pressure decrease from the mean sea level to the 39.2 km altitude level? In applying the 50% reduction rule, we can take the same approach in estimating the percentage of the earth’s atmosphere that lies within every 5.6 km increment of altitude. If, for instance, the earth’s atmospheric pressure value decreases in half from 1000 to 500 mb from the mean sea level to the 5.6 km altitude level, this is reflective that 50% of the earth’s atmospheric gases will be found within this first 5.6 km increment. As we increase our altitude to 11.2 km above ground, the remaining 50% of the earth’s atmosphere will be halved again, and this results in 25% of the earth’s atmosphere being located within this next increment of height. This is illustrated in Table 2 below. Below the 16.8 km level (all the way to the ground), [?] % of the total atmosphere would be found. From the 28.0 km altitude level, approximately how much of the Earth's total atmosphere would be located ABOVE you? (Note: This would include altitudes above the 39.2 km level). Upon reaching the 39.2 km altitude level, approximately how much of the total atmosphere is now below you? If you successfully answered these first six questions, you'll see that the earth's atmospheric gases certainly decrease very rapidly with height! It is for this reason that airplanes cannot fly beyond a certain altitude, and why humans would not survive if directly exposed to conditions not far from the earth's surface. The earth is approximately 4.5 billion years old, and the concentrations of gases that have populated its atmosphere over this time have varied greatly. Atmospheric nitrogen and carbon dioxide concentrations gradually built up due to volcanic eruptions that have occurred throughout the earth's history. Water Vapor emissions from volcanic eruptions are also believed to have contributed to the current global water supply, much of which resides in the world’s oceans. The build-up of oxygen in the earth’s atmosphere began when primitive plant life first appeared, and began ingesting carbon dioxide, water, and solar energy through the process of photosynthesis. Through photosynthesis, plants produce their own food and also release oxygen. Over billions of years, photosynthesis led to the build-up of atmospheric oxygen which we now breathe on a daily basis! Given the values shown in Table 3 above, [?] is the most abundant permanent gas while [?] is the most abundant variable gas in some locations. Which of the following is the likeliest location for atmospheric water vapor content to be near 4% concentration levels? A number of variable gases (water vapor, carbon dioxide, methane) are also considered greenhouse gases, or gases that have the ability to absorb outgoing radiative energy from the earth. This absorption of energy then causes a warming effect in the earth’s atmosphere. Without this dynamic known as the “Greenhouse Effect”, the Earth would drastically cool and life as we know it would not be sustainable. Since the dawn of the Industrial Revolution, however, atmospheric greenhouse gas concentrations have been steadily increasing. Fig. 3 is an image of atmospheric carbon dioxide (CO2) concentrations that have been measured at the Mauna Loa Observatory (Mauna Loa, Hawaii) at 3,397 meters above sea level since 1958. The red line is indicative of running carbon dioxide data, and the black line is indicative of seasonally corrected data (the overall trend for a given year). You will note that atmospheric carbon dioxide levels vary within a given year (the reason for this is explored in question 9), although concentrations over the five-decade period have steadily increased overall. 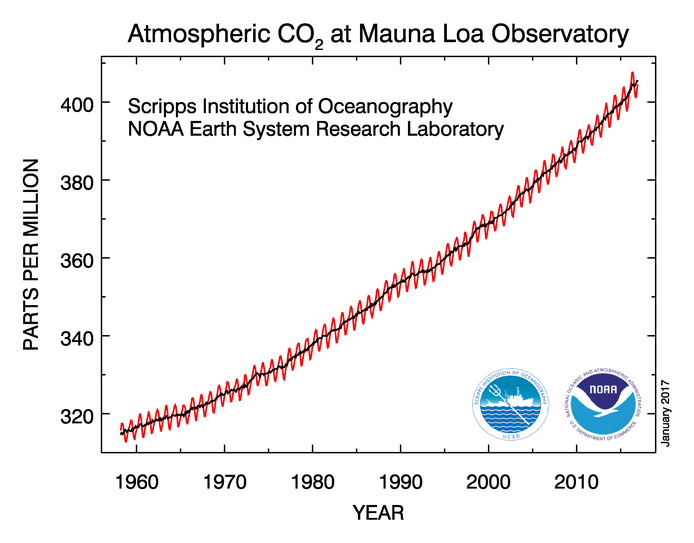 What would account for the seasonal variations (the red line) of atmospheric carbon dioxide concentrations displayed in Fig. 3 above? (Hint: Photosynthesis plays a key role). In the above example, the answer of 5.0 x 10-4 is an expression requiring the decimal next to the '5' digit to be moved four places to the left. This gives us an answer of 0.0005, and the two answers are therefore equal. When measurements were first taken at the Mauna Loa Observatory in 1958, the overall atmospheric concentration of carbon dioxide was estimated at 315.28 ppm. What is the equivalent expression of 315.28 ppm? By December 2016, atmospheric carbon dioxide concentrations at the Mauna Loa Observatory were measured at 404.48 ppm. What is the equivalent expression of 404.48 ppm? In the first step of our formula, we find the difference in ppm values between 1958 and 2016 and take the absolute value of our answer (this is represented by the vertical bars in the first step of the formula). Therefore, if the difference in our values is a negative number, we retain the numerical value and make this value positive. In the second step, we take this absolute value and divide it by our 1958 ppm value. We lastly take this resulting value and multiply it by 100%. Given that 315.28 ppm of carbon dioxide was observed at Mauna Loa in 1958 and 404.48 ppm of carbon dioxide was observed in 2016, what is the overall percentage increase in atmospheric CO2 concentrations over this time frame? As indicated in Table 3, some of the other important variable gases found in the atmosphere include methane and ozone. Methane concentrations, like carbon dioxide, have also been increasing in the earth's atmosphere due to anthropogenic industrialization. Atmospheric ozone concentrations, however, vary based on one's location from the Equator. Ozone consists of three atoms (or units) of oxygen, and is produced from solar radiation interactions. The greatest concentrations of atmospheric ozone typically lie approximately 25-30 km into the atmosphere. Most of the earth's atmospheric ozone is created near the Equator where the Earth receives its greatest solar concentrations, although global planetary circulations transport much of the ozone towards planetary locations found closer to the Poles. The Poles, meanwhile, correspond to where atmospheric ozone levels are significantly lower. In 1985, a large ozone "hole" was discovered over Antarctica, which resulted in a ban for a number of household products that release CFCs (cholorfluorocarbons), or gas compounds that can destroy ozone. Based on surface landscape attributes, which of the following would likely result in greatest atmospheric concentrations of methane? There are some locations around the globe which experience 24 hours of darkness for weeks at a time. Would this result in GREATER or LESSER atmospheric ozone concentrations? Fig. 4 is a visual of the four layers comprising the earth’s atmosphere, which consists of the Troposphere, Stratosphere, Mesosphere, and Thermosphere. These atmospheric layers are identified based on their temperature properties, which is represented by the yellow line in Fig. 4 below. Temperature is the average kinetic energy, or energy of motion, possessed by the atoms and molecules that comprise a substance. In other words, if the air temperature is measured at 25°C (77°F), this reflects the average amount of movement energy emitted by atoms and molecules comprising the air sample. A higher air temperature (i.e. 30°C) reflects faster atomic and molecular motion, and it therefore reflects a higher mean kinetic energy content of the air. 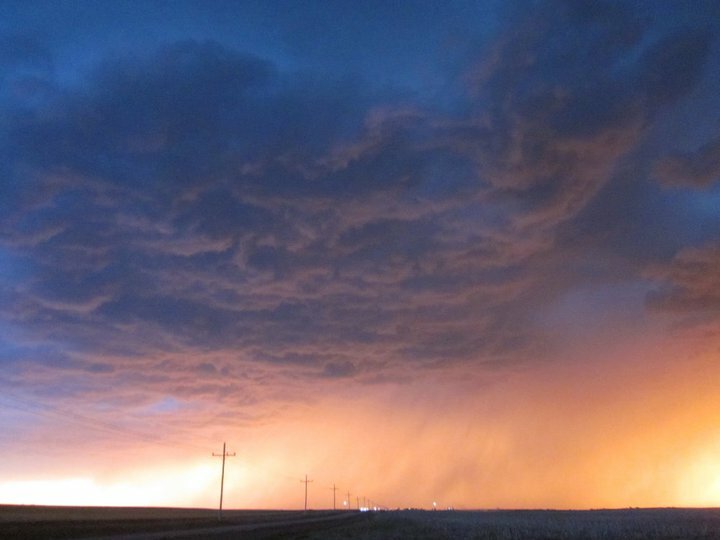 Most of the world's weather occurs in the Troposphere, or the lowest layer of the atmosphere. This is also the layer of the atmosphere as to where most of the world's atmospheric gases are found (remember the 5.6 km rule discussed in Section 1). As one increases with altitude into the atmosphere, the temperatures of atmospheric gases found in each layer will vary. Within the Troposphere, most of the sun's heating occurs near the earth's surface, and this is why temperatures initially decrease with height. This is illustrated by the yellow line shown in Fig. 4 above. Note in Fig. 4 the average temperature values listed along the x-axis and the height values listed along the y-axis. When viewing Fig. 4 above, which atmospheric layer consists of the hottest gases found in the Earth's atmosphere? Based on the information provided to you at the end of Section 2 in this chapter, which atmospheric layer is where one would find an Ozone maximum (or the Ozone Layer)? We define the rate of change in temperature relative to the change in atmospheric height as a lapse rate. If, for instance, the temperature decreases by 10 degrees Celsius over a 2 km distance in height, the lapse rate would be calculated as (10 degrees Celsius / 2 km), or a lapse rate of 5 degrees Celsius km-1 (note that although temperatures decrease over this vertical distance, lapse rate values are positive). When viewing the temperature profile of the atmosphere in Fig. 4, note the orientation of the temperature line for each atmospheric layer. For some atmospheric layers, we see a decrease in temperature with height, but for others, we actually see an increase in temperature with height. A warming of the atmosphere that occurs with increasing altitude is referred to as an inversion. You must first subtract the difference of two provided temperature values (make sure you subtract the final value from the initial value, and note that we are NOT taking the absolute value this time). The second and final step consists of taking the difference in temperature values and dividing it by a vertical distance of the atmosphere. 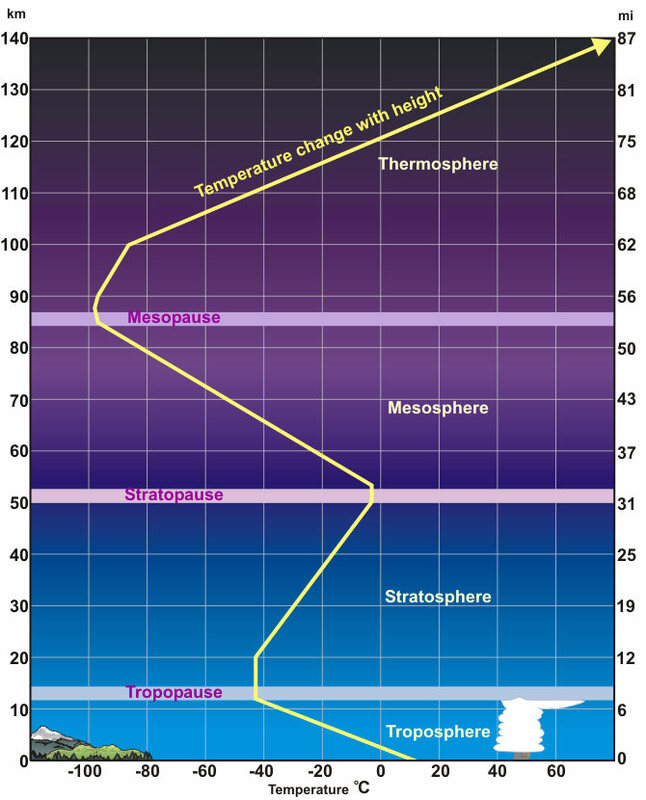 ​Starting at the Troposphere, the average sea level temperature is approximately 15° C, but it drops to approximately -55° C at the Tropopause (the upper limit of the Troposphere). The location of the Tropopause varies depending on the long-term temperature conditions for a given region, but we will assume for Question 18 that the Tropopause is located approximately 11 km above sea level. What is the approximate lapse rate of the Troposphere as a whole? The Stratosphere is where one finds the Ozone Layer, or a layer of gases which protects us from harmful ultraviolet solar radiation. The Ozone Layer absorbs this harmful radiation, which results in higher temperatures for atmospheric gases found within this second atmospheric layer. Due to the presence of ozone, the approximate temperature in the lower Stratosphere is -51°C, whereas the approximate temperature located at the Stratopause (or the upper limit of the Stratosphere) is -15°C. The stratospheric layer of the atmosphere spans a vertical distance of approximately 32 km from its lower to upper boundaries. Lapse rates play a crucial role in determining whether atmospheric conditions are favorable for thunderstorm development. We will therefore examine lapse rates in further detail when we explore instability in Chapter 5. The last two layers of the atmosphere consist of the Mesosphere and the Thermosphere. In the Mesosphere, temperatures cool with height, although meteors often burn up within this atmospheric layer. Objects such as meteors travel at very high rates of speed (in tens of thousands of km hr-1), and therefore possess large amounts of kinetic energy. As meteors enter the Mesosphere, they enter a more dense segment of the earth's atmosphere with greater numbers of gas molecules. Meteors that encounter large numbers of gas molecules at high rates of speed generate large amounts of friction in the process, and this produces an enormous build-up of heat. This heat build-up ultimately is what causes fast-traveling meteors to burn up in the atmosphere. The Thermosphere, which borders outer space, is the last of the earth's four atmospheric layers. Very few of the earth's gases are found in the Thermosphere, which translates into very low atmospheric pressure and density values found in this region of the earth's atmosphere. Gases found in the Thermosphere, however, can become quite hot, as they are among the first of the earth's gases to be exposed to incoming energy emitted by the sun. This is why temperatures increase with altitude in the Thermosphere, as shown in Fig. 4. A passenger jet flying at cruising altitude is often traveling in the upper Troposphere at approximately 725 km per hour (or 450 mph). Why don't passenger jets burn up as meteors do? Atmospheric temperatures found in the Troposphere are cooler than temperatures found in the Mesosphere. Speeds of passenger jets are far slower than those of streaking meteors, and therefore do not generate as much of a heat build up as incoming meteors. Atmospheric densities in the Troposphere are less than in the Mesosphere. The Ozone Layer prevents ultraviolet radiation from burning up passenger jets in the Troposphere. (WARM or COLD?) While temperature measures the AVERAGE amount of kinetic energy generated by molecules, HEAT measures the TOTAL amount of kinetic energy emitted by gas molecules. It is the concept of HEAT (our exposure to the total energy emitted by all gas molecules) that provides us a sense of warmth or cold. Based on this concept and given the total amount of gas molecules found in the Thermosphere, would one feel WARM or COLD if exposed to conditions found in the Thermosphere? In this chapter, we examined the basic structure of the earth's atmosphere. Atmospheric pressure and density values both decrease approximately 50% ​for every 5.6 km above the earth's surface. Most of the earth's atmosphere is comprised of permanent gases (nitrogen and oxygen), although it is also comprised of variable gases (carbon, water vapor, methane, ozone) which are also very important to life on earth. The earth's atmosphere is separated into four layers (Troposphere, Stratosphere, Mesosphere, Thermosphere), which each consist of unique atmospheric temperature characteristics. Most of the world's weather is confined to the Troposphere, which borders the earth's surface. The Stratosphere is where one would find the Ozone Layer, and is where the atmosphere temporarily warms with height. The Mesosphere is the third atmospheric layer, and is where streaking meteors typically burn up in the sky. The fourth and final layer is the Thermosphere, and it is where the earth's hottest atmospheric gases are found. Now that you've mastered the basic concepts pertaining to the earth's atmospheric structure, we will next examine the earth's orientation relative to the sun in Chapter 2. We will see that this orientation is why we have seasons (fall, spring, winter, summer) on earth. In later chapters, we will further examine the earth's uneven heating patterns, and we will see that they are ultimately responsible for causing the world's weather! 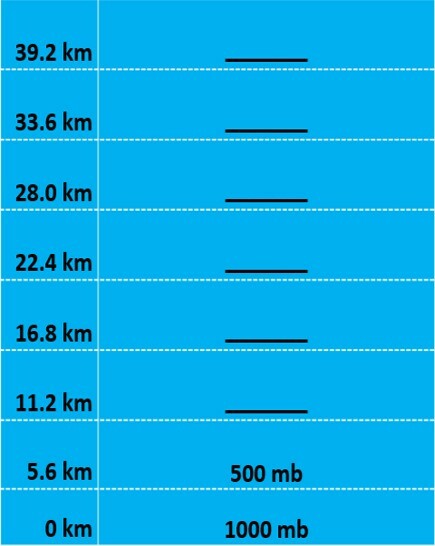 Based on what was discussed in Section 1 and your answers for Tables 1 and 2, which of the following altitude segments is where one would find the greatest atmospheric pressure decrease? Which of the following types of landscape surfaces would yield lower atmospheric carbon dioxide levels overall due to high rates of photosynthesis? What is the correct order of atmospheric layers with lowest to highest pressure values? Image courtesy of the NASA Earth Observatory under public domain. 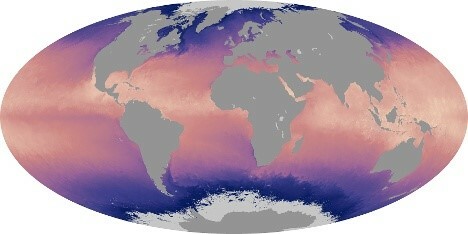 Image courtesy of the NOAA ESRL Global Monitoring Division, Boulder, Colorado, USA, under public domain. Image courtesy of the U.S. National Weather Service via Wikimedia Commons.